Jack Chang, CRS, GRI, Broker Associate, Chairman's Circle, Legend Award (10 years). Contact Jack Chang, CRS, GRI, Broker Associate, Chairman's Circle, Legend Award (10 years). Your message will be sent to Jack Chang, CRS, GRI, Broker Associate, Chairman's Circle, Legend Award (10 years)..
With over twenty years of real estate experience and comprehensive understanding of how the market operates, Jack Chang translates his knowledge into successful residential and commercial transactions for his clients. Whether a client is buying, selling or investing in real estate, Jack has the skill, experience and dedication to guide them through the complex real estate process. He is a tough and seasoned negotiator who will get you the most money for the property you sell and the best price for the property you purchase. When marketing his clients' properties, Jack Chang understands the importance of fully utilizing the power of online marketing to generate maximum worldwide exposure for their properties. His technology savvy keeps him on the cutting edge of real estate professionals. 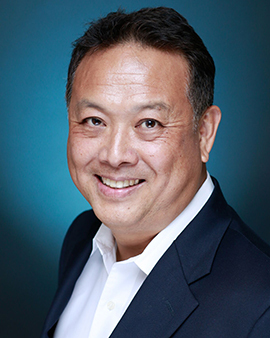 Jack Chang's impressive track record has earned him recognition as a member of the Chairman's Circle, the top two percent of all sales associates for the entire Berkshire Hathaway Homeservices Real Estate network. His outstanding representation of multi-million dollar luxury residential properties has given him the exclusive title of Luxury Home Specialist. Other designations Jack has earned are Graduate of the Realtor Institute (GRI), and Certified Residential Specialist (CRS). Jack is also a Broker licensee. For superior Real Estate representation in Pasadena, San Marino, and the surrounding cities in San Gabriel Valley, Jack Chang will go the extra mile to provide superior service for your most important financial and lifestyle decisions.